The latest Bollywood entertainer Filmistaan has completed its first weekend and now has come to end of its 4th day on box office. The film begins with a memorable shot where a budding actor is sitting on his couch and sipping his morning cuppa. The director doesn’t shoot him directly but via a mirror on his cupboard. While the movie flows, that first powerful shot gave an insight into what the film has in store for us. The story is novel yet not an unthinkable or out of the world product. Nitin Kakkar deserves a salute for seamlessly binding heavy topics of infiltration, cross border terrorism, the ideals of right wing Islamists and yet the prevailing love for Bollywood. Anything dealing with the hostility of India and Pakistan gets sucked in by gloom but Kakkar manages to maintain his film consistently light hearted. This too like Queen isn’t much about the script, as it is about the moments. In the second half of the film, the plot becomes racy and every bit nail biting. Probably the last scene should have been affirmative and with a filmy ending, but leaving it in haze was justified and more appropriate. 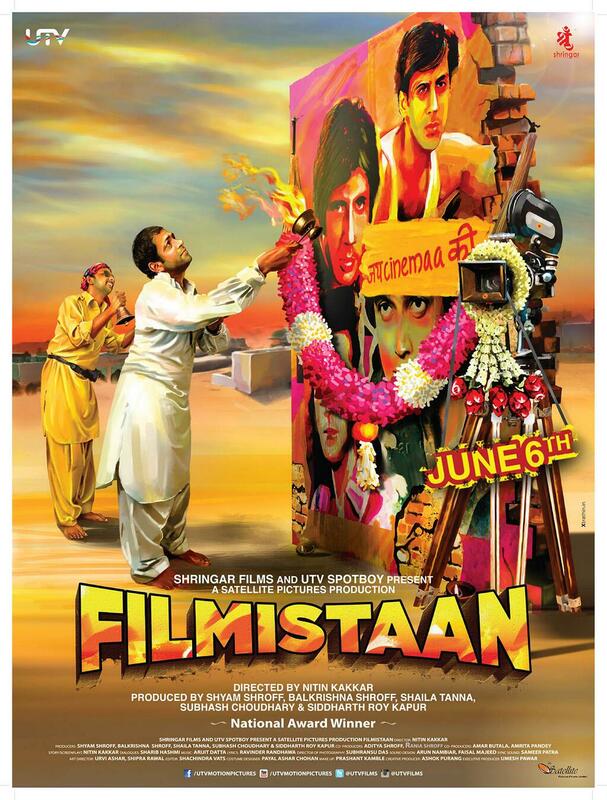 Nitin Kakkar’s Filmistaan is a crackling movie to the core that doesn’t give you one dull moment in its total runtime. Filmistaan made a good performance on its first weekend by collecting 1.26 Crores on 3rd day i.e. Sunday and today was 4th day of release for the film and it did quite well today also being a weekday by making a trade of 0.54 Crore on the whole. Sharib Hashmi is outstanding, Inammulhaq displays honest act, and Gopal Duttand Kumud Mishra are hilarious, neatly directed, smart story idea. After success of ‘Tere Bin Laden’, there are films like ‘War Chhod Na Yaar’ which tried hands at Indo Pak relation in humorous way. Now we have another film which takes a dig at Indo – Pak relation in a lighter manner aided with power of cinema. But to conclude, we can say that Filmistaan is the best among all these topics.